Nell is a detective dog. She uses her keen sense of smell to solve mysteries. Whether it’s finding a lost toy, a misplaced book or even the culprit who did a poo on the new gravel path, Nell is always on the case! But, she has some other talents too. Nell loves to listen to stories and goes to school with her owner every day to listen to the children read. One morning, they arrive at school only to discover that all of the books have disappeared! Luckily, Nell the detective dog is on hand, and she wastes no time sniffing out the perpetrator. Another brilliantly written rhyming story from Julia Donaldson. This picture book is action packed and will maintain children’s interest as they make inferences and predictions about who might have stolen all of the books. There is a clear and explicit moral to the story about the joys that books and libraries bring, as well as the consequences of stealing. 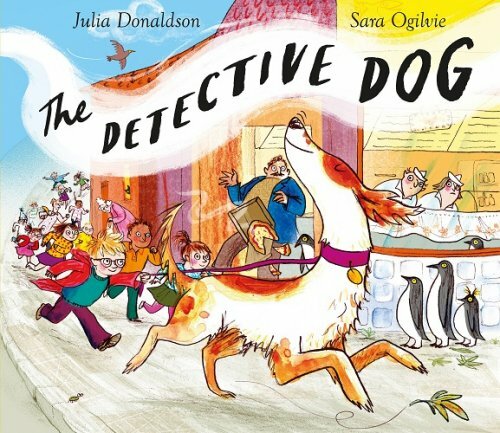 For further speech and language targets in The Detective Dog, see the list below.